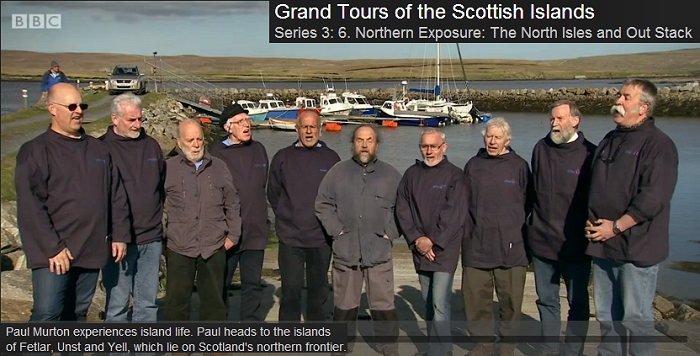 12th October 2015, Da Shanty Yellmen featured in Paul Murton’s “Grand Tours of the Scottish islands!”, on BBC 1. 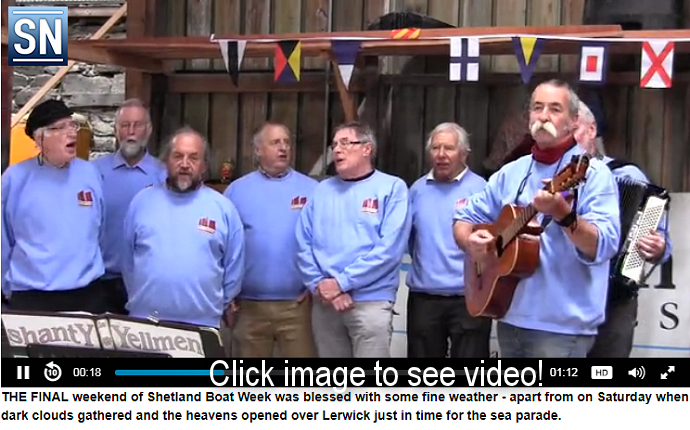 The only male group singing shanties and sea songs in Shetland. 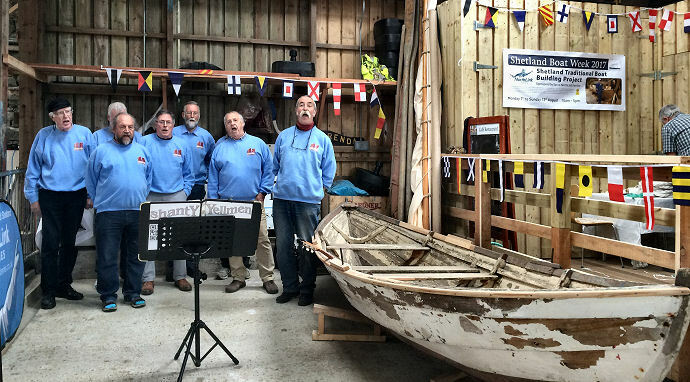 ‘The Shanty Yellmen is a group of men residing on the Islands of Yell and Unst in Shetland, formed originally to support Sail Yell celebrations in 2011, when the “Tall Ships Races” visited the islands. Since then, we have performed throughout Shetland and also at the International Shanty Festival in Rotterdam, the home town of Peter Blanker, who started the group. 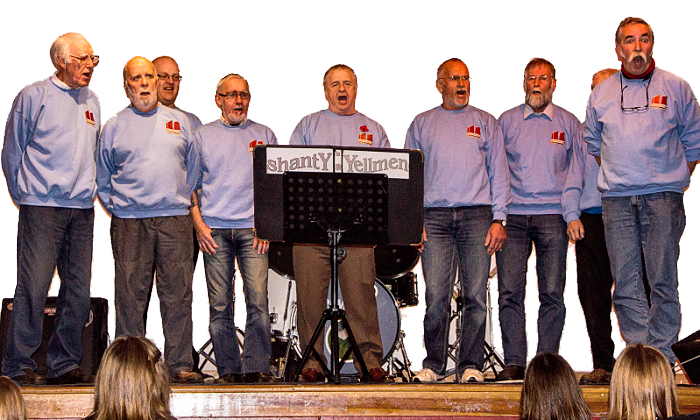 In 2014 we also performed at Rosses Point Sea Shanty Festival, Sligo, Ireland. 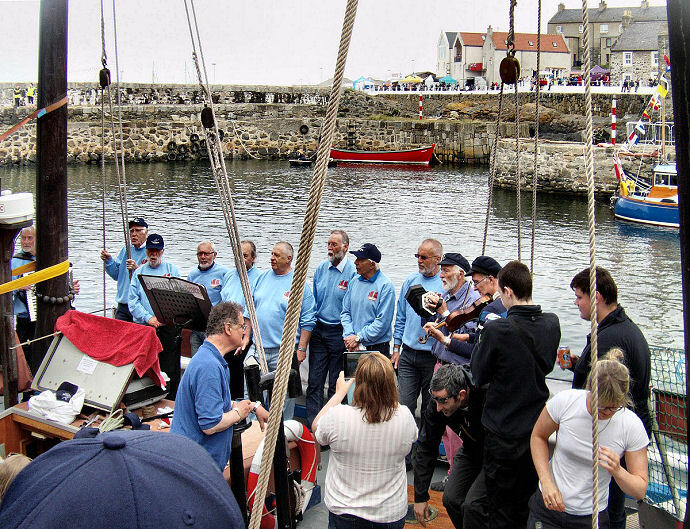 Both 2016 and 2017 we sang at the Portsoy Classic Boat Festival on an invite by Northlink Ferries. Our songs have been very well received and a CD has been requested on several occasions.